I've read the next books in a couple of series so I just wanted to give them a quick mention. The Case of the Deadly Butter Chicken is the third book in Tarquin Hall's Vish Puri series. Vish is a private detective in Mumbai and these books are full of social commentary about modern India. The mysteries are interesting as well. This book also dealt with the division between Pakistan and India and I learned quite a bit about that time that I didn't know. Mr. 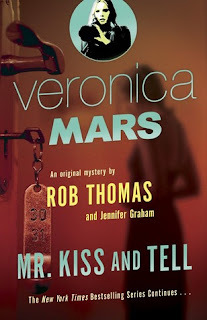 Kiss and Tell is the second Veronica Mars novel, continuing the story from pretty much right when it ends in the first book (which starts right after the movie). These are fun but dark reads. I have to admit that I mostly just read them to find out what is going on with Veronica and Logan. 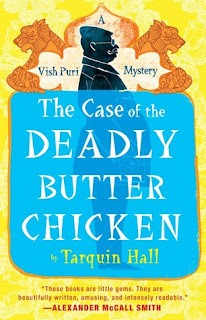 Christopher Fowler's Peculiar Crimes Unit Mysteries (a.k.a. the Bryant and May Mysteries) are probably my favorite ongoing series right now. 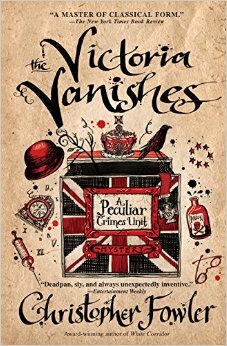 The Victoria Vanishes is the sixth of eleven current books in the series. I could easily speed through the entire thing but I'm trying to spread them out, keeping at least a couple for when I really need a comfort read. I love the amount of research that goes into them about the history of London and the detectives are quite different from any others you could read about. I really need to start with the Bryant and May mysteries. I've started the first one a couple of times, and I've found it a bit hard to get into. One day soon! I have heard so many good things about these books. I just looked up my review of the first book (I have the worst memory!) 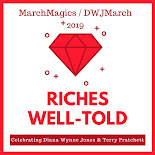 and I said this "The writing was a little uneven in this book but I'm assuming that it's because it was a first outing for these unusual men." So, get through the first even though it's a harder read because the series definitely gets better from there! Like Jenny, I read one of the first books in the Peculiar Crimes Unit series but haven't continued. The book included so many interesting facts about London history, though, so I should continue! The history is sometimes more interesting than the crimes in this series!